Welcome to Core Connection. I’m a Women’s Health and Fitness Coach, specialising in pelvic floor and core rehab. I use a holistic, evidence-based approach to help women reconnect with their bodies, building strength from the inside, out. I’m the only Holistic Core Restore® coach working in Brighton & Hove and the surrounding area, I’m a MuTu Pro as well as STOTT trained Pilates instructor. 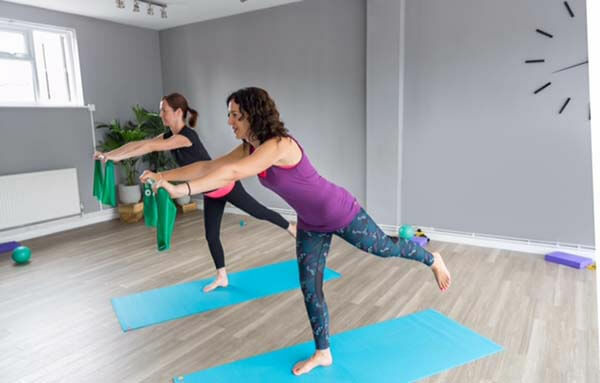 Every woman at every life stage, be it during pregnancy, the early post-natal period or later in life, needs to be empowered to improve their pelvic floor heath, core strength and wellbeing. This is where the Holistic Core Restore® Every Woman programme – created by Jenny Burrell of Burrell Education – helps educate and support women to ensure that suffering in silence about pelvic floor function/weak core muscles becomes a thing of the past. I have been trained by Jenny and I’m one of a small number of coaches to offer this unique training programme – suitable for all women through all life stages. Take a look around the website to find out more about the range of options on offer – from the Holistic Core Restore® Every Woman Programme, through to tailored 1-2-1 programmes, online programmes including MUTU System online and Athlete 12, as well as Pilates Courses and 1-2-1s.